About Us | Real Estate in Waycross, Blackshear, Nahunta, Hoboken, Screven, Jesup, Alma, and surrounding southeast GA| Cobblestone Realty, Inc.
We are the company that is going to go the extra mile to make your real estate experience the best. We want to help you now and in the future. We have all of the newest computers, networks, PDA's, etc. to keep up with this fast pace technology but most of all we have the desire and willingness to make you happy. Our agents are here to assist you with all your real estate needs. Call on any of our agents, we all are here for you. 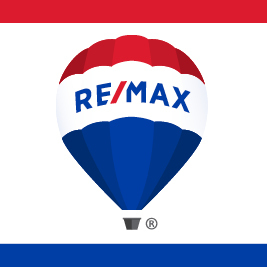 We want to make your experience buying or selling real estate great! Our office is fully equipped with an integrated networks of computer and communication systems. We have instant access to all Listings, the Public Record Searches, and other tools and services that our agents need in order to better serve you. We also have a staff to accommodate all your needs. They help coordinate meetings, set schedules, answer your calls when your agent is not available, and they are your personal couriers to ensure the timely processing and delivery of all your documents. All information on this web site have been displayed as accurately as possible. Cobblestone Realty, Inc. will not be held responsible or liable for errors in content. These pages are set up on a provided template and Cobblestone Realty, Inc. has inserted the information. Age and property information are from tax card, deemed correct but not guaranteed.